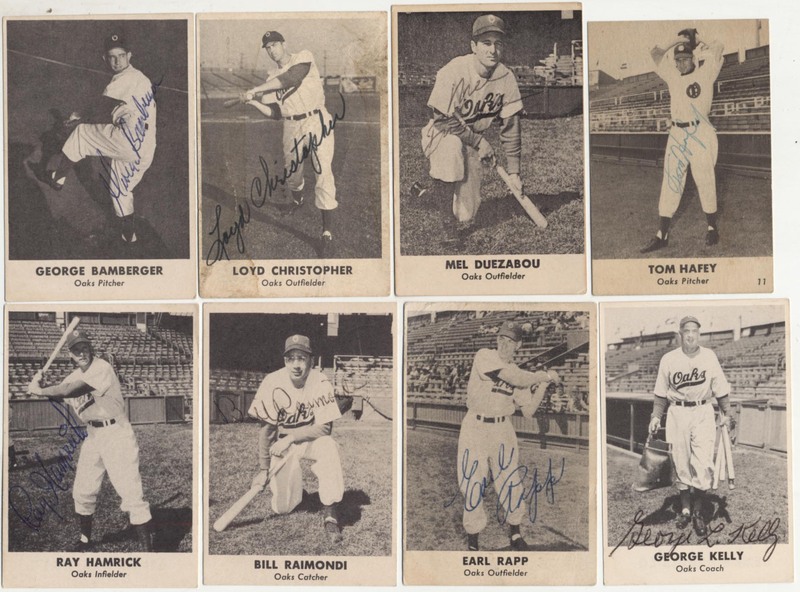 Interesting collection of signed PCL cards. These look to be vintage signed. Condition varies, these are from various Remar Bread sets from the late 1940s. Content is precisely as follows: Bamberger (2), Christopher (2), Duezabou (8), Hafey, Hamrick (3), George Kelly (HOF), Raimondi and Rapp. JSA LOA.